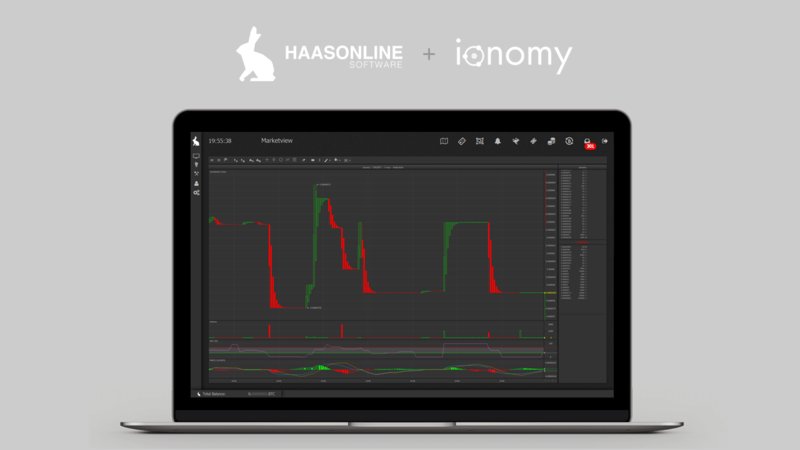 We’ve added our crypto trading bot support for Ionomy’s Alchemy exchange. The Alchemy exchange is a newly launched exchange that currently supports 8 trading pairs and is continually adding support for new trade pairs. We have seamlessly integrated the Alchemy API with our software to ensure all of your our trade bots including the Crypto Index, Exchange Arbitrage, and Mad Hatter crypto trading bots perform their tasks reliably. Our Bitcoin Trading Bots now support the Deribit Exchange! We’ve added Bitcoin trading bot support for Deribit, a bitcoin futures and options exchange. Deribit is a next-generation bitcoin derivatives exchange that currently supports bitcoin and US dollar pairs. We have ensured our integration with the Deribit API works seamlessly with all of your favorite cryptocurrency trading bots including the Ping Pong, Scalper, and Zone Recovery bots. Deribit is a well-established exchange that has been in operation since 2014. With over 95% of assets are in cold storage, you can rest assured they take security seriously. Their further commitment to speed and user satisfaction has garnered a very respectable reputation in the cryptocurrency community. 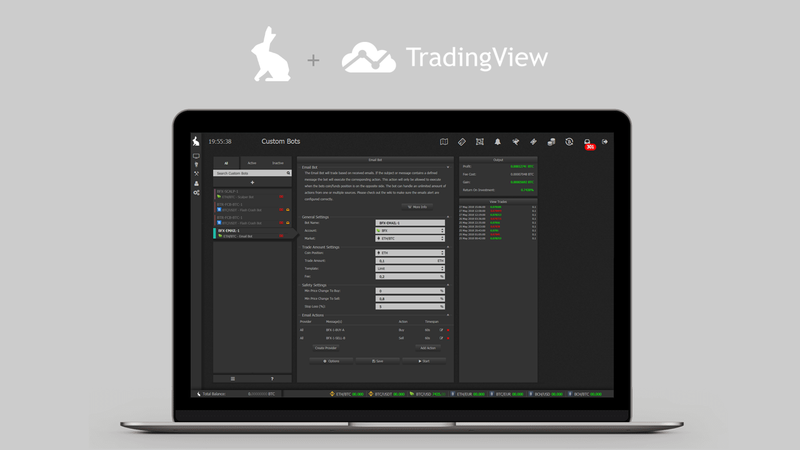 Well only partially… 😎 No, we still have no plans on integrating the TradingView charting engine inside Haas Trade Server, but more on that at a later date. We are, however, excited to announce that we have integrated TradingView email alerts into our Email Trade Bot! 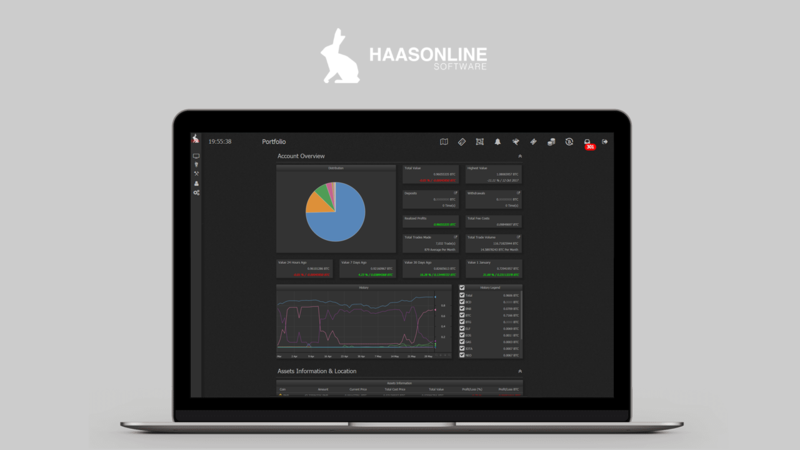 This integration allows you to continue to use one of the most beloved charting tools on the market to drive cryptocurrency trading signals to your very own TradingView bot within HassOnline Trade Server. Asset tracking has become a popular topic with governments now catching up to the crypto space. New rules and regulations are being pushed forward that have implications for all crypto traders, particularly when it comes to filing your taxes. The need for better tracking of your assets is no longer just a convenience but a necessity. Making sense of (and keeping up with) the new financial regulations that govern your trade activity can be a real mess if you’re a do-it-yourselfer. For this reason, many of our customers have opted to outsource these tax-related headaches to an accountant or a tax preparation service like, we’ve wrote about in a previous post, HappyTax. This new feature falls in line with our current plans to continue migration of our current community members from the forum and Telegram platforms to a central Discord server. 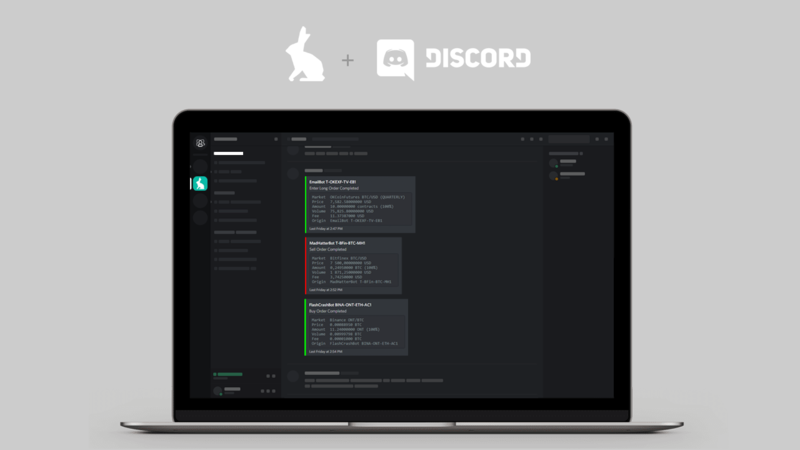 It is with our continued commitment to improve, grow, and nurture our online community that led us to integrate our platform with your own Discord server that will provide you with real-time notifications. Huobi offers competitive fees, high trade volume, reliable connections, and much more so check them out and give us your feedback!